The NNEdPro Global Centre was awarded the 2017 International MNI (Medical Nutrition Industry) Award, announced at the European Society of Parenteral and Enteral Nutrition (ESPEN) at their congress in The Hague. The award was presented to NNEdPro representatives Dr Minha Rajput-Ray and Harrison Carter on September 11th 2017 for an education project application co-sponsored by the British Dietetic Association (BDA) and the British Association of Parenteral and Enteral Nutrition (BAPEN). NNEdPro competed against 21 other competitors from 13 countries to be awarded fund for a patient centred project to tackle the growing burden of malnutrition in the UK. The €30,000 award was presented to NNEdPro by the MNI President, Tim Meyerhoff in the presence of the BAPEN President, Dr Simon Gabe and will be used to develop a medical and public health nutrition education programme for UK medical students to help improve patient outcomes and implement strategies to advance nutritional care in clinical practice. 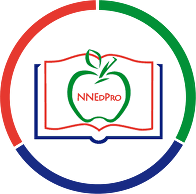 The NNEdPro project will design bespoke, sustainable and cross-disciplinary educational programmes that will deliver a multidisciplinary, stepwise, blended learning package to target malnutrition in the acute hospital and community setting. It will increase the meaningful screening, assessment and treatment of malnutrition and will crucially involve a multi-disciplinary team of healthcare professionals (including Doctors, Nurses, Dietitians and Registered Nutritionists) at all stages of their training. MNI commented that NNEdPro had been the winners of this prestigious award because of the projects originality, its focus on patient involvement and the value provided by the blended learning aspect of combining face-to-face and e-learning, which NNEdPro will develop with major UK stakeholders. Following development of the learning package, NNEdPro will also identify 13 champion networks from across the UK to be the first to be able to offer this modern clinical and public health nutrition education to their medical students, with a view to improving nutrition practice on hospital wards to benefit the whole person care that patient’s receive. CN Article: Let’s End Malnutrition by 2030!